Senorita Metcalf and her Spanish students completed the project they began last week. 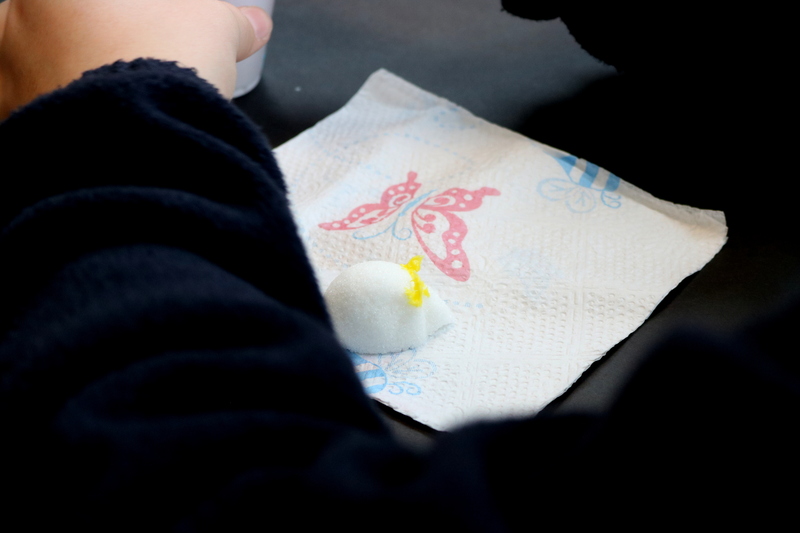 Students learned how Spanish-speaking cultures focus on the religious significance of All Hallow’s Eve. The Día de los Muertos is a time to remember that death has no power over Christians who have the hope of eternal life through Jesus Christ. 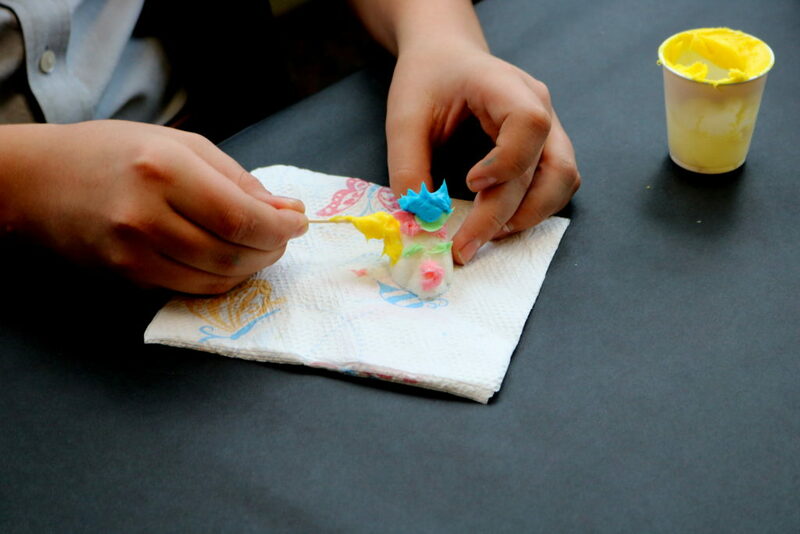 This week, students decorated the sugar and meringue skulls they had made. 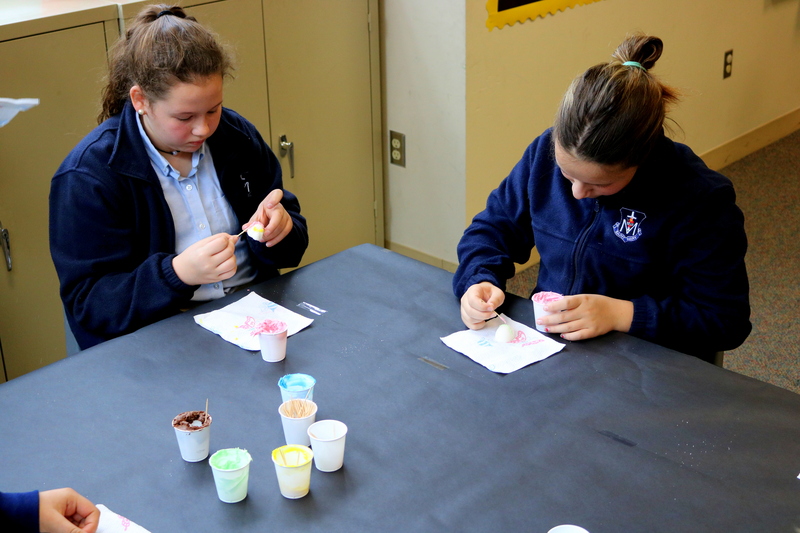 Students ate the sugar skulls as soon as they were perfected with colored icing.